Reverend Harry Chuck is a lifelong civil rights activist and leader in the Chinatown community. 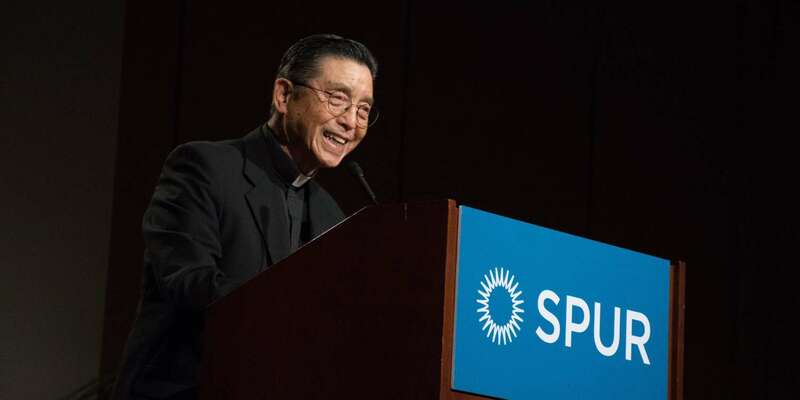 Now retired, Chuck was for many years the executive director of Donaldina Cameron House, the family-service agency that has served Chinatown families for more than 100 years, and pastor of Chinatown Presbyterian Church. He was the co-chairperson of Chinatown Coalition for Better Housing, founded in 1972, and his organizing efforts led to the first affordable housing project built in San Francisco’s Chinatown. Chuck is now producing through Kickstarter a documentary called Chinatown Risingabout the groundswell of activism in that era, using his own original film footage. 2018 Silver SPUR Awards: Reverend Harry Chuck from SPUR on Vimeo.